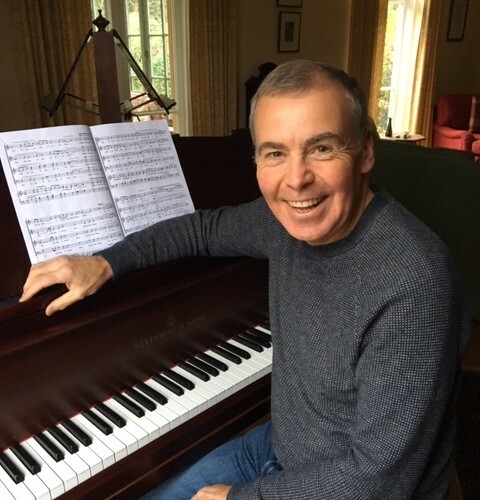 Having made it through to the 2017 Final of the BBC Christmas Carol Competition with Sir Christèmas, Old Wulfrunian David Hughes has now reached the 2018 Final with the recently written The Bee Carol. The prestigious BBC Radio 3 competition challenged amateur composers to create new music for The Bee Carol, a poem by Poet Laureate Carol Ann Duffy. Over 400 entries were received with the final six chosen by judges including Master of The Queen’s Music, Judith Weir, and esteemed choral composer and conductor Bob Chilcott. The six finalists were announced on the Breakfast Show on Wednesday 12 December 2018, where The BBC Singers performed each competing composition in full. David, 63, who lives in Compton, Wolverhampton, was a student at Wolverhampton Grammar School before pursuing a successful career as a corporate lawyer. His two children, Richard and Lisa, also attended the school and David was a governor of the school from 2001 to 2013. A recording of David’s The Bee Carol can be found on the BBC Radio 3 website, sung by The BBC Singers, and will also be performed as part of BBC Radio 3’s Afternoon Concert (17 December 2018, 2pm). The overall winning carol will be chosen by an online public vote, which is open now until Thursday 20 December 2018, 5pm, with the winning carol being announced on the Radio 3 Breakfast programme the following day (21 December 2018). Please help David to be this year’s winner! Go to: www.bbc.co.uk/radio3 and vote for his carol – and encourage your colleagues, friends and family to do the same!